Much has been said in recent weeks on the phenomenon that is Partnership Minyan (PM). As a relatively new concept – and anything under a century old can be considered ‘new’ in Jewish practice – PM is frequently misunderstood. 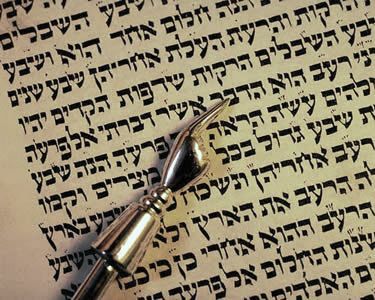 The corpus of Jewish Scripture (known as the written and the oral law) is large, and often vague; in an attempt to bring clarity, and to formulate the Jewish law, practices, and customs, Rabbis have spent centuries debating and interpreting the Scripture. Naturally, the range of interpretations reflects the personalities of the Rabbis, and the times in which they lived. Mainstream Orthodox Judaism follows a series of strict interpretations of Jewish Law. While still firmly rooted in Orthodoxy, PM follows the more lenient interpretations of a few rabbis; a deft manoeuvre which permits their religious services to be far more egalitarian. In PM, as in standard orthodox practice seen in the United Synagogue, prayers are conducted in Hebrew, and men and women sit separately, with a mechitzah (barrier) between them. However, women are permitted to lead parts of the service which do not require a minyan (quorum of ten adult men), to be called to the Torah (Old Testament, written on a parchment scroll) to bless it (aliyah), and even to read the Torah and Prophets (Haphtarah) out loud to the congregation. While these things are normal practice in all Non-Orthodox forms of Judaism, they are considered revolutionary in Orthodoxy. I have been involved in the Borehamwood PM since its first committee meeting. I set up and managed the social media and mail list in the vital early months, helping to build a solid foundation for the future. Now named Kehillat Nashira , the community continues to grow from strength to strength, and I regularly support and attend their beautiful services with my husband. As someone who works in change management, one expects any established organisation to experience some discomfort when faced with new ideas; such a reaction is human and natural. Consequently, the resistance of traditionally Orthodox Jews to PM is not a surprise. However, the level of vitriol that I and my fellow PM friends have experienced from some certain quarters has been shocking. The response of the United Synagogue in London has been particularly severe, with rabbinical epistles , personal attacks in the media , and intervention from the Chief Rabbi. Certainly, resistance to change. By definition, change is disturbing to orthodoxy. It frightens the proverbial horses. Orthodoxy is concerned with codifying practice, and preserving the status quo. It gives the impression of solidity; of constancy in an ever changing world. This is however, an illusion: Judaism has survived for five millennia precisely because it is able to change. Many of the cultural practices that we consider to be ‘Orthodox’ in the UK are remarkably recent; but that’s a discussion for another time. Desire on the part of the Orthodox rabbinate to preserve their authority and social power. Orthodox synagogue attendance has fallen significantly in my lifetime, particularly in the provinces, where many beautiful shul buildings have been closed and sold. In addition to this decline, the growing PM movement could be seen as a direct threat to normative practice, since it permits things currently forbidden by the Rabbis, and through repeated application makes them religiously acceptable. Fear of the unknown. In the rigid, orthodox world, PM is seen as a wild card: It’s alive, it’s evolving, it’s mixing things up, and there’s no knowing where it will stop, or what will become acceptable to it in years to come. The “slippery slope” argument is that PM people will gradually become less observant. In reality, such fears are unfounded; while PM does accept some things that the orthodox world does not, it is manifestly increasing the levels of participation, observance, and spirituality of those who attend. Finally, there are fundamental problems with the way that women are included, and the way that the female experience is understood, within Orthodox Judaism. While there are notable exceptions; rabbis and schools which encourage female students to study as the male students do, these are still in the minority, and they are hard to find outside major communities like London, Jerusalem and New York. Too often, middle-of-the-road Jewish women, who are now equal in the secular world, find their religious experience hopelessly restricted by their gender, and their religious education, if they have any at all, focussed largely on domestic concerns. The contrast is palpable, and uncomfortable; it drives many women into the more welcoming arms of the Masorti, Reform, and Liberal movements, and turns others off Judaism altogether. What is clear, however, is that PM is not going to go away. The people attracted to PM tend to be those interested in religious growth; these are not “three-times-a-year” shul goers; they are the people who will go out on a rainy night to listen to a shiur (religious lecture). These are not the people who rely on others to do things for them; they are the people who participate, learn to lein (read scripture) and want to lead services. They are not the people who rush or mumble through a service; they sing from the bottom of their heart to the top of their soul. These are the people who Orthodox Judaism is no longer speaking to, but can’t afford to lose. I don’t think it’s totally fair to say the Orthodox community – and certainly not the Modern Orthodox community, are resistant to change. For example, look at how technology is being used to help practice Judaism whether it be apps to look up kashrus, track niddah status or to calculate prayer times based on data from NASA. But change comes from external drivers, not just because people decide they want to daven differently. Hi Philip, thank you for your comments. You raise interesting points, particularly about technology. We certainly can use apps to do the things you suggest; measurement of time is more accurate now than it has ever been, we know absolutely when the New Moon will be, yet we still celebrate two days of yom tov outside of Israel. Sometimes change is about more than simply doing the same thing more efficiently. In regards to the halachic basis of PM, I am no expert, but you may find these shiurim helpful. I’m an advocate of the Partnership Minyan. From what little I understand, the weight of consensus, and of halacha itself, can move for the sake of expediency. The whole point of finding a good Rabbi is to reconcile personal challenges with religious practice. Any Rabbi can tell you ‘no’; the best ones imagine many ways of satisfying both the individual and tradition. But if Orthodoxy wasn’t sceptical about fashion, it wouldn’t be Orthodoxy. It’ll be interesting to see where PM lands in a few years. The movement might dissolve into the ranks of non-Orthodox movements as an intellectual pursuit, or the mainstream might have adopted it as if it were always mainstream. I’ve noticed that women’s galleries are emptier than they used to be, which worries me. If we expect women to participate equally in the world outside the synagogue, we now need a place for them inside it.